ACfurnaceGTA is the best choice on the Toronto market of air conditioning companies. HVAC stands for “Heating, Ventilating, and Air-Conditioning. Heating, ventilating, and air-conditioning helps to make a better quality of indoor air, put you in control of the temperature and air flow throughout your home. Whenever there is an issue with your home’s indoor air – whether it is too hot, too cold, or too stuffy, your ACfurnaceGTA Contractor can help you. If your home has “central air” you will definitely need the services of a professional ACfurnaceGTA Contractor. In many parts of Ontario, air conditioning is an absolute must-have item. Not only does it create a comfortable oasis from frequent summer heat waves, but lacking any form of A/C can also severely damage the resale value of your home. Considered only a few decades ago to be a luxury item reserved for high end homes, air conditioning is now almost universally seen as a basic appliance, as common and expected as central heating in even the most modest households. Your ACfurnaceGTA Contractor will determine what size of A/C you need. Determining the size of the cooling system your home needs is an important first step before you buy. There are several factors that are considered by an experienced ACfurnaceGTA Contractor to reach a conclusion. These include the size and type of your home, walls, and windows, whether your home has insulation (and, if so, the type and density), the condition of your basement and attic, and whether your home is oriented towards or away from the sun. Systems that are too big for your home will not be effective in removing enough moisture from the air. This means the air intended to cool you off will leave you feeling sticky and humid instead. This could lead to potential mold problem or the generation of harmful bacteria inside your home! Bacteria, dust, and fungus can collect in your home’s ductwork over a period of time, leading to aggravation of asthma and allergies. A system that is too large will be forced to turn itself on and off more quickly. This is called “short-cycling”, and it will cause your system to break down quicker, as well as placing a hefty increase on your heating and cooling bills. Likewise, a system that’s too small will run itself down very quickly, simply because it can’t cool the entire space – it would be running constantly in an effort to do so. An ACfurnaceGTA Contractor can discuss the different types of mechanical and forced-air ventilating systems with you, and find one that exactly fits your needs and conform to the TSSA standards. When the ducts are used, dust from inside will be blown out into the home, which increases your workload when you clean house. Getting the ducts cleaned by a qualified ACfurnaceGTA Contractor will help in the smoother functioning of your entire home heating & cooling system. This will lower your bills and make your equipment work even longer. Book now an appointment with our professional HVAC pre-inspectors and ask them to give you the better deal than you got from other companies. 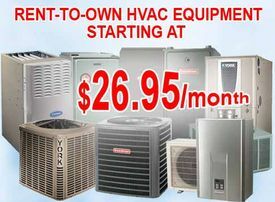 Make a call us after you got idea of pricing for your upcoming HVAC project. Let us know your budget and we will be happy to meet all your requirements.